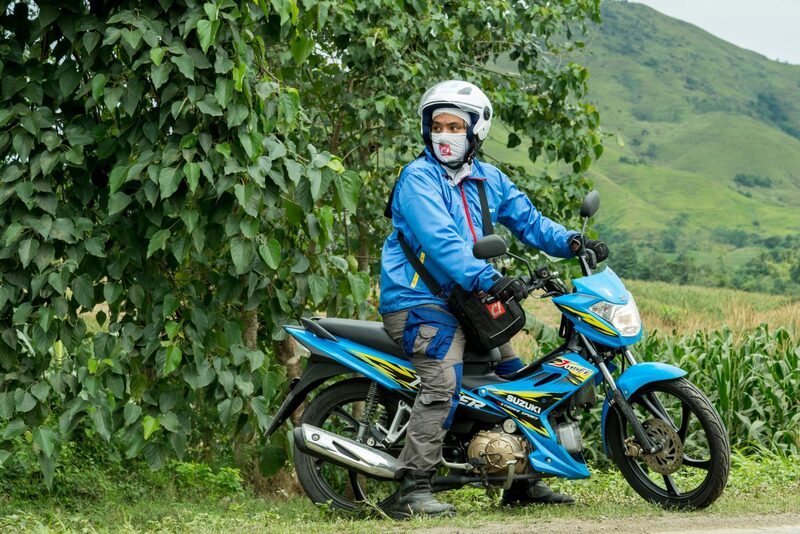 Underbone motorcycles are often referred to as a city commuter bike, but what others don’t know is that underbones can also be used for touring. 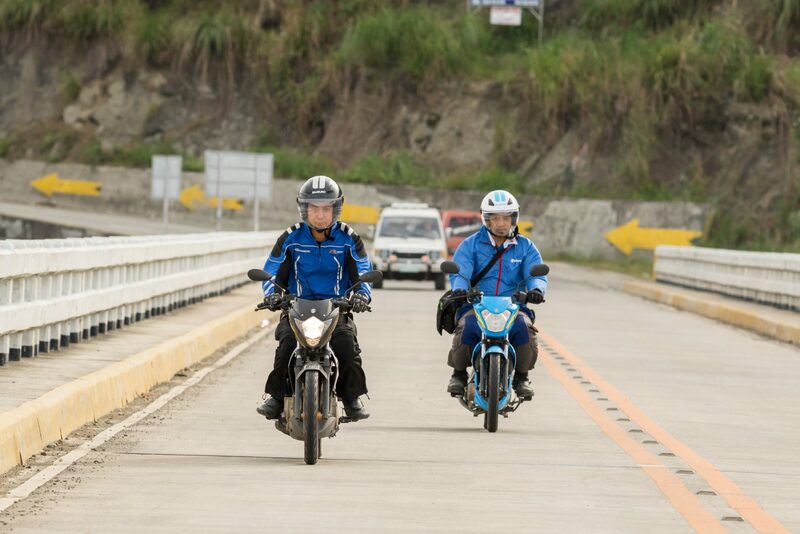 Yes, they’re not allowed to enter our expressways because of the standing 400cc minimum displacement requirement, but if you’re not in a real hurry, you can always take the more scenic backroads route. 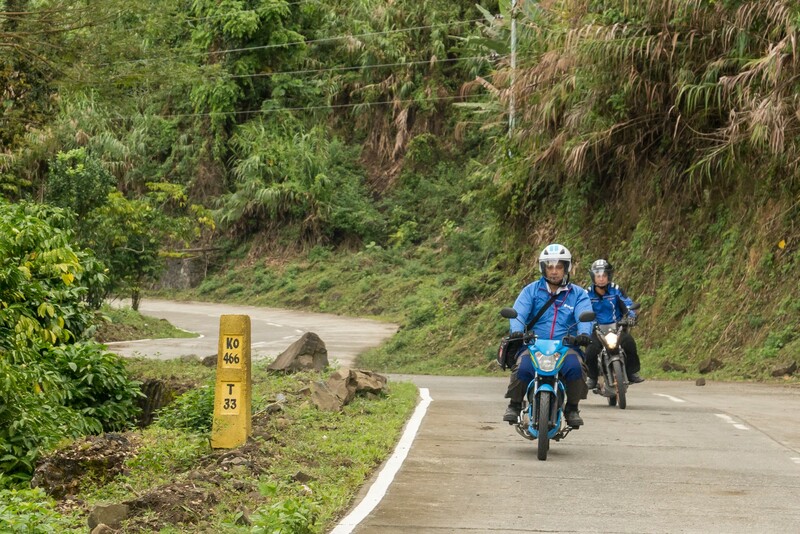 To prove our point that you can travel by underbone, we borrowed a Raider J 115 FI and a Raider R150 from Suzuki and plotted a route to Tabuk City in the province of Kalinga. 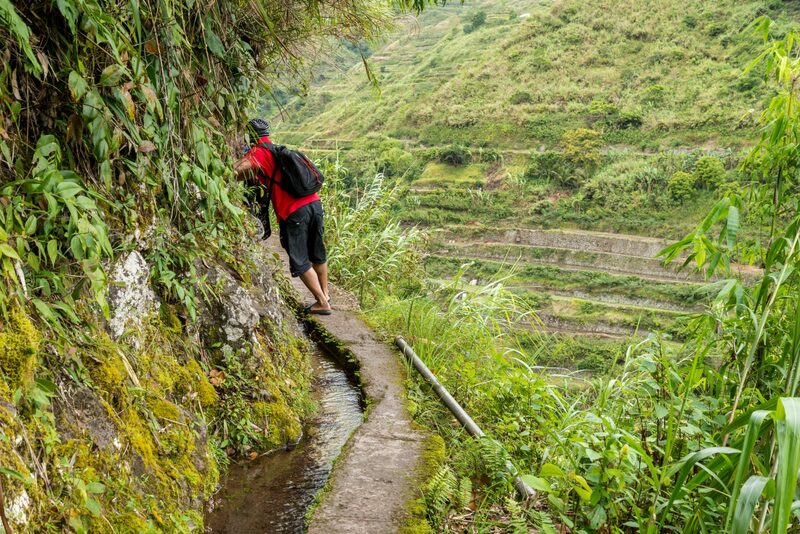 We chose it as our destination for this travelogue because, why not? 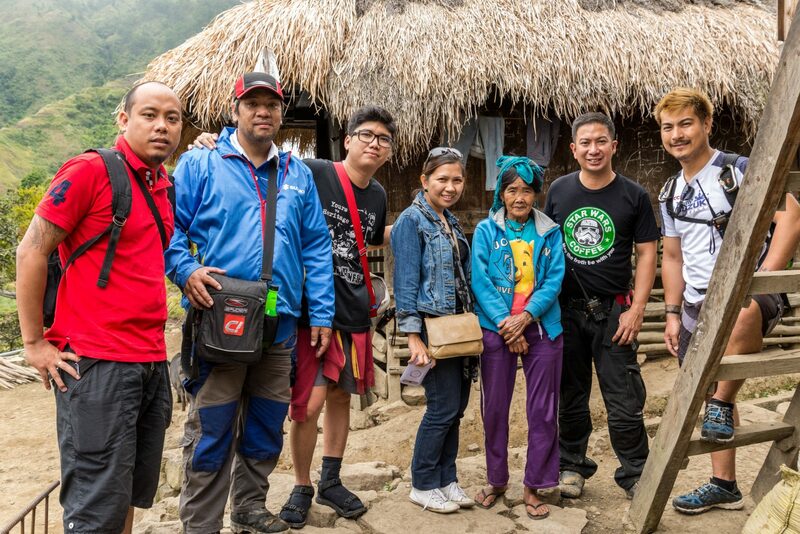 We’ve been to every place in northern Luzon except for Tabuk, and we were kinda wondering why it’s often overlooked as a tourist destination compared to Baguio City and Sagada. We also chose the Suzuki Raider J because it’s one of the most, if not the most, fuel efficient underbone out there in the market today. And it doesn’t hurt that it’s also good looking like its Raider R150 sibling we brought along in this journey. With some 443 kilometers to travel and also to avoid traffic along Mac Arthur Highway, Telly and I decided to leave Metro Manila at exactly 2am in the morning, but first we topped up our bike’s fuel at the Shell gasoline station in Quezon City. We then made our way towards the Monumento Rotonda in Caloocan City, then from there we simply followed the Pan-Philippine Highway until we reached Cabanatuan City where we ate breakfast at a fastfood restaurant. After eating a hearty breakfast, we headed straight to San Jose City in Nueva Ecija, where we had our first gas stop upon leaving Metro Manila. 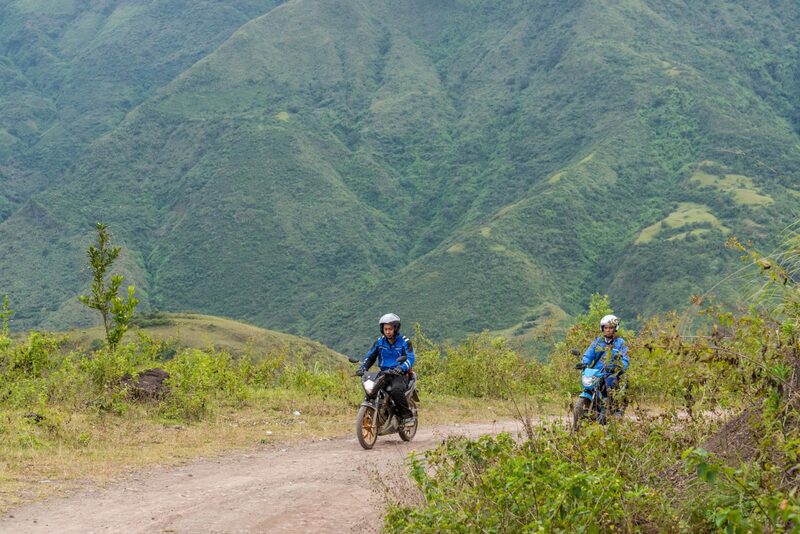 Surprisingly, after travelling 167 kilometers there was still a little less than a half tank of fuel left on both bikes, but we decided to top them up just the same in preparation for the long ride to Santiago City, Isabela. 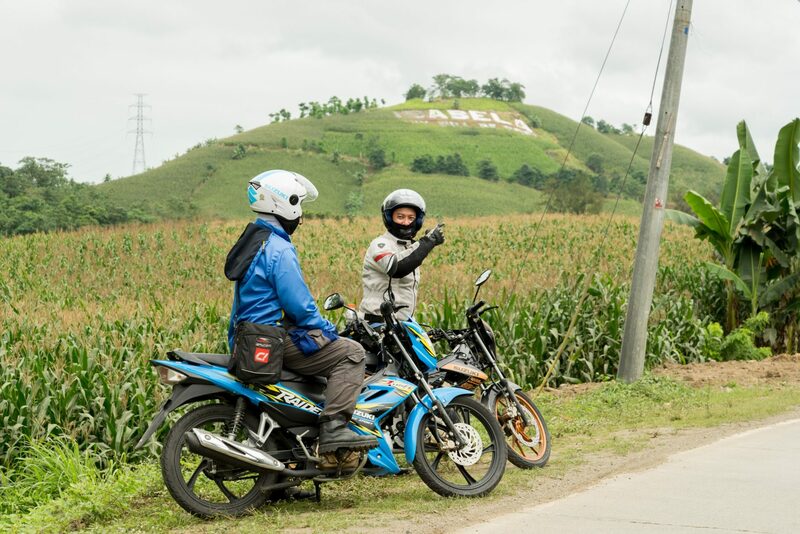 From San Jose City, we took the famous Dalton Pass, also known as the gateway to the north, portion of the Pan-Philippine Highway that connects Nueva Ecija to Nueva Vizcaya, but halfway to the welcome arch, rain started to fall pretty hard. That wasn’t the problem though, thick fog hampered our steady progress so we decided to slow down a bit. It’s a good thing the Raider J is equipped with grippy Dunlop tires that gave us extra confidence while traversing the slippery mountain road. We reached Santa Fe in Nueva Vizcaya shortly after 9am, and by that time the rain thankfully slowed down to a light drizzle. I always enjoy passing through Nueva Vizcaya on the way to or from the north because of the wonderful sceneries along the way. 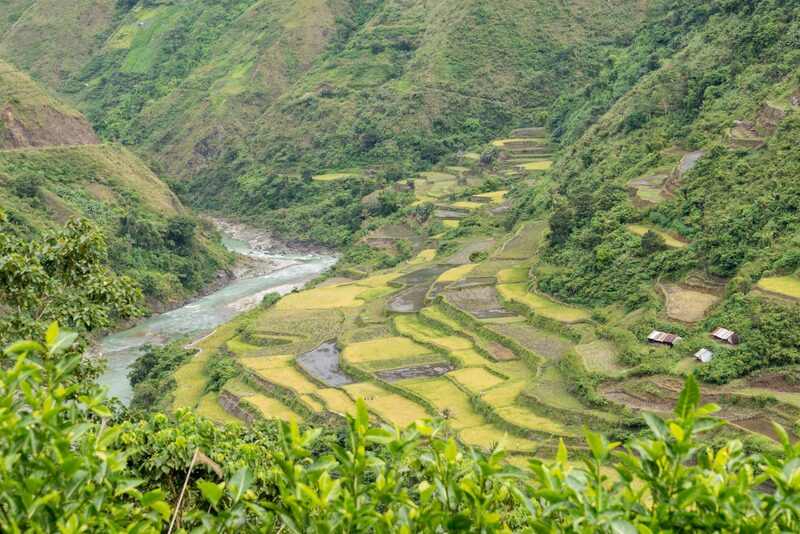 Like many provinces in Central Luzon, Nueva Vizcaya has vast acres of rice fields, and the morning sunlight gives them a dark green color that is soothing to the eyes. We reached Santiago City, Isabela shortly before 12 noon just in time for lunch. By twelve noon, we’d been on the road for ten hours but Telly and I couldn’t wait to ride the Raiders some more. We were a bit sleepy after eating a heavy meal of barbecued chicken and two cups of rice but nothing a cup of coffee couldn’t fix. After downing a cup of coffee and topping up our fuel tanks, we geared up and hit the road once again for the final push to Tabuk. 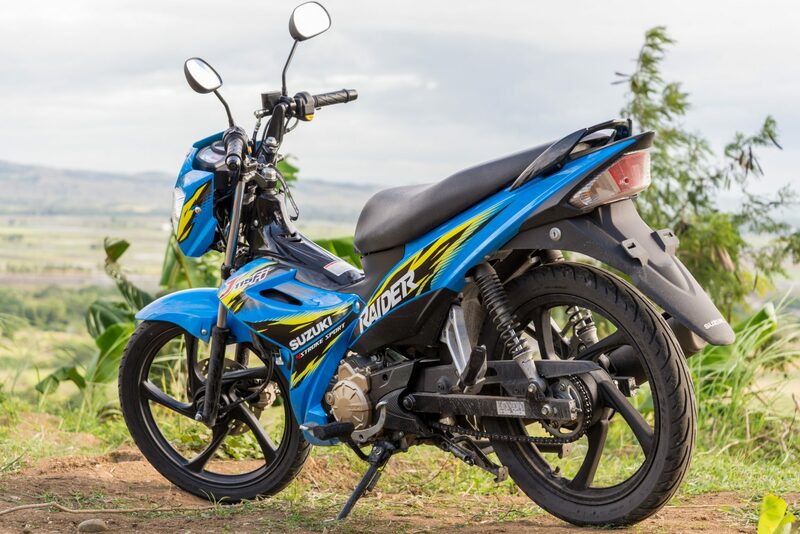 The ride from Isabela was pleasant with few vehicles on the road, we were able to max the Raider J’s top speed. 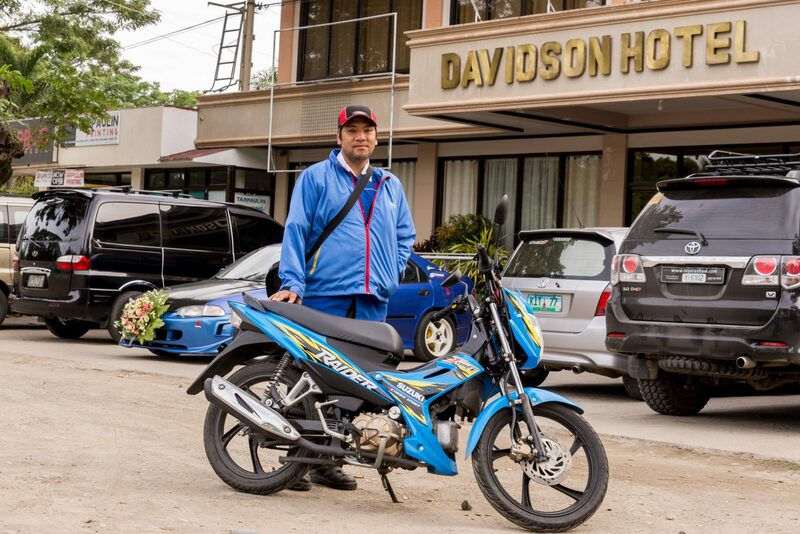 A 100 km/h top speed isn’t much by motorcycle standards but for an underbone it’s sufficient to deal with slow moving trucks, busses, and tricycles along the national highway. The Raider R150 on the other hand has no problem breaking the speed limit. 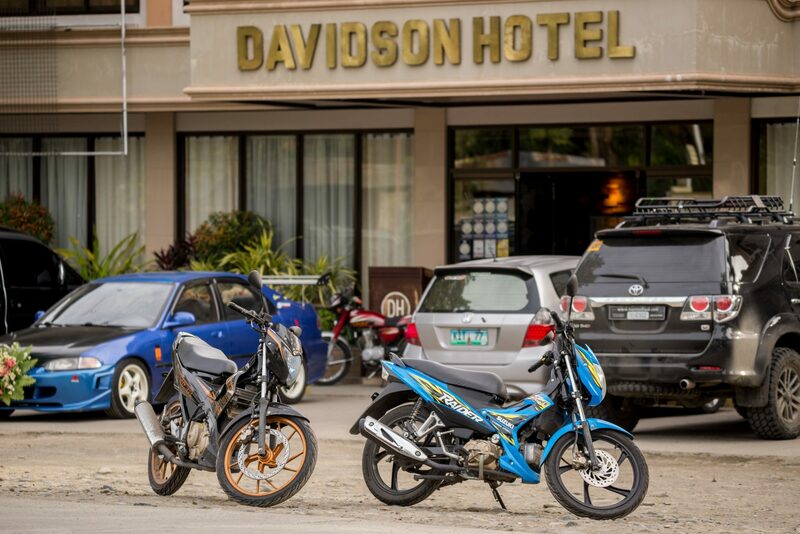 We reached the welcome arch to Kalinga before 3pm, and by 4pm, we were already checked in at the Davidson Hotel in Tabuk City. 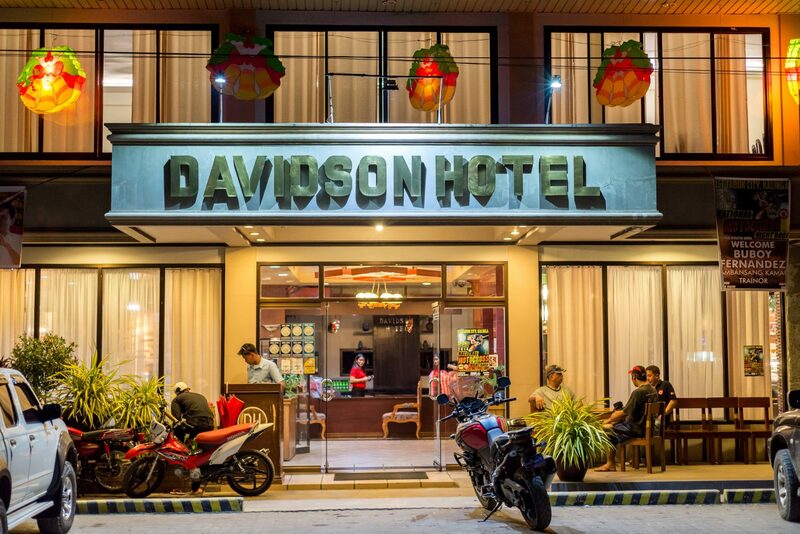 The following day, we met with the Davidson Hotel owners, Erren Jay and Liay Ng-Khe, who happens to be the operators of Davidson Aventours, a company that organizes eco-tourism in the province of Kalinga. Erren, who hails from Laguna and a graduate of the Philippine Military Academy Class of 2009, moved to Tabuk City after marrying Liay. The young couple now runs several flourishing businesses in Tabuk City. 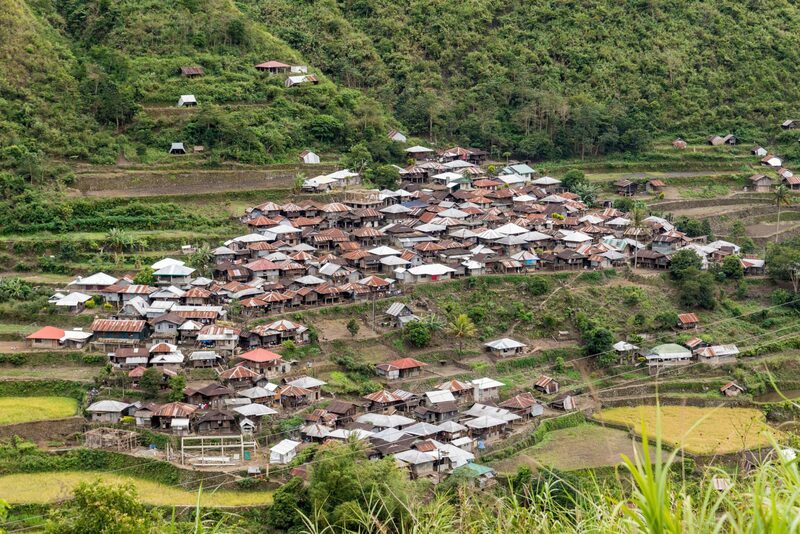 Situated in the east side of Kalinga, Tabuk City borders the provinces of Isabela and the Mountain Province. If you look at TabuK City in a map, you will see that it is landlocked and located off-center in Kalinga. 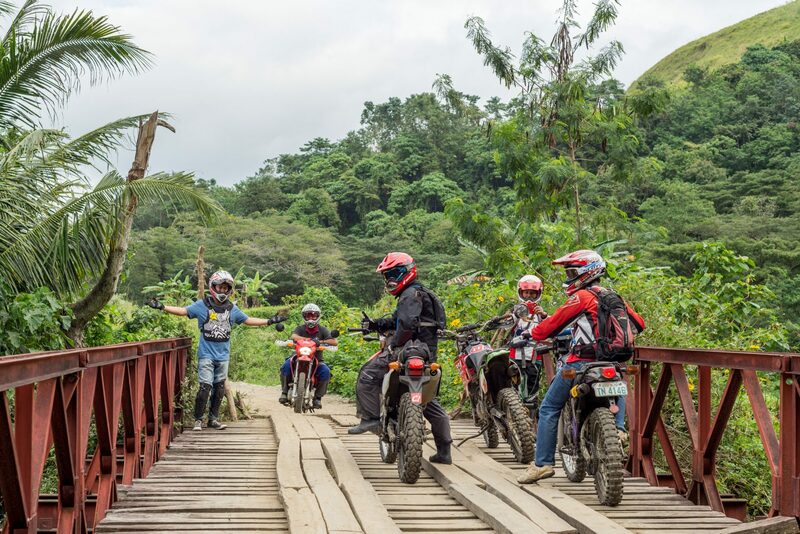 As part of the Davidson Adventour package, Erren personally took us trail riding around the surrounding hills and then whitewater rafting in the mighty Chico River. 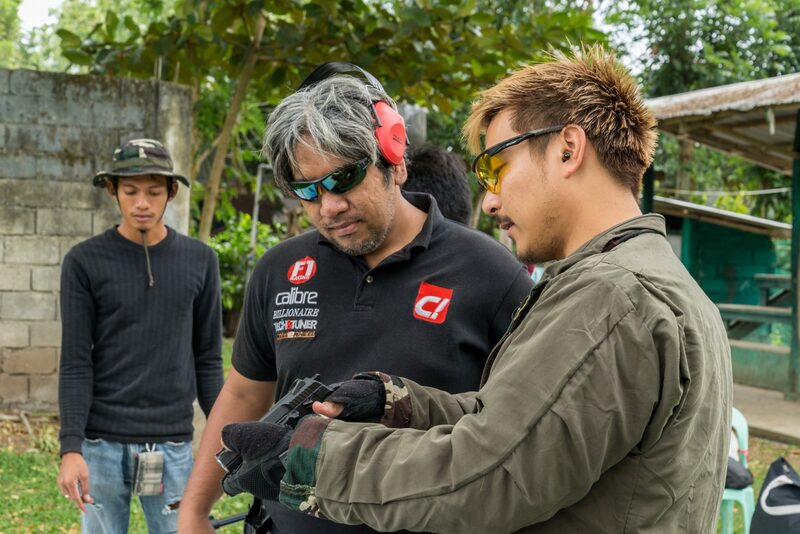 In the afternoon, we visited his farm where he taught us how to safely handle and fire several pieces of firearms. 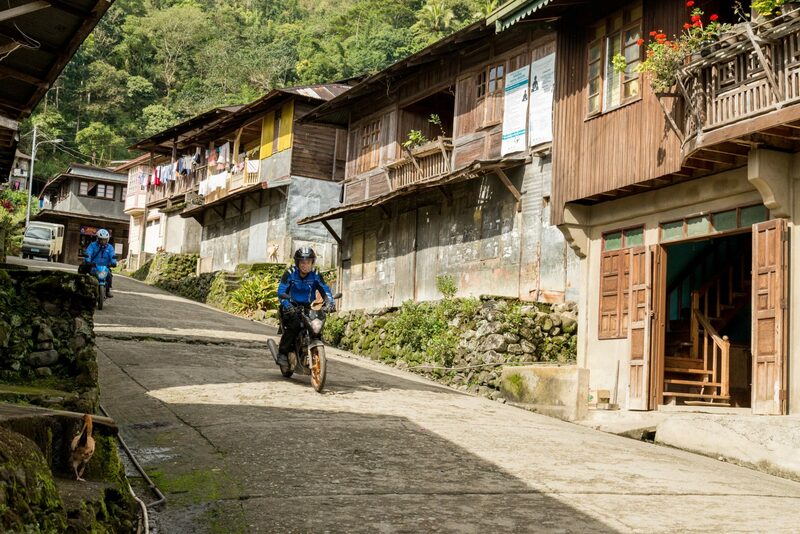 That same afternoon we even managed to squeeze in a quick ride to Buscalan, a small village up in the mountains of Tinglayan to watch the famous Apo Whang Od do her magic. 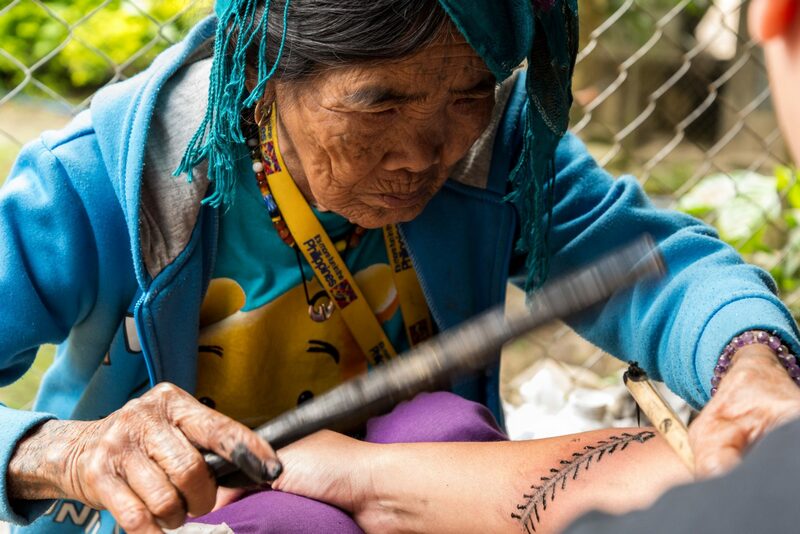 At 95 years old, Apo Whang Od is the last traditional tattoo artist in Kalinga. She’s so famous and sought after for what she does, she was already featured in the Discovery Channel program Tattoo Hunter. 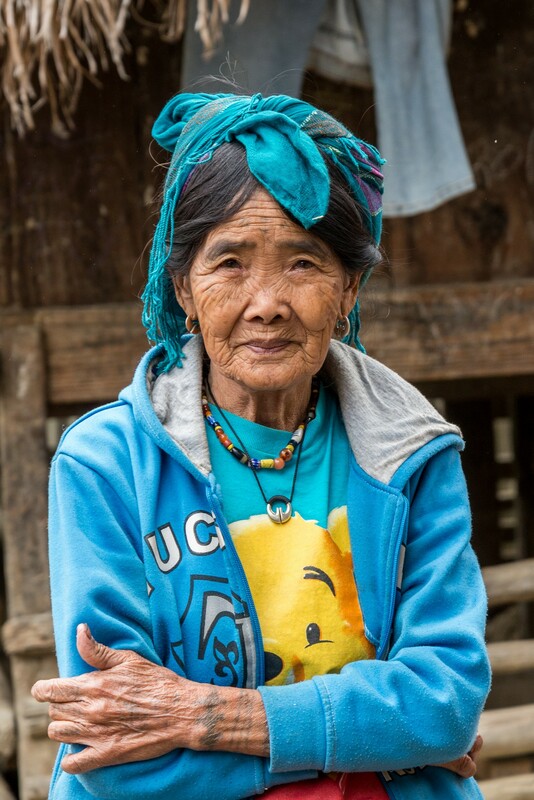 It was said that Apo Whang Od used to do the war tattoos of the mingol. We’ll save that for another story soon. 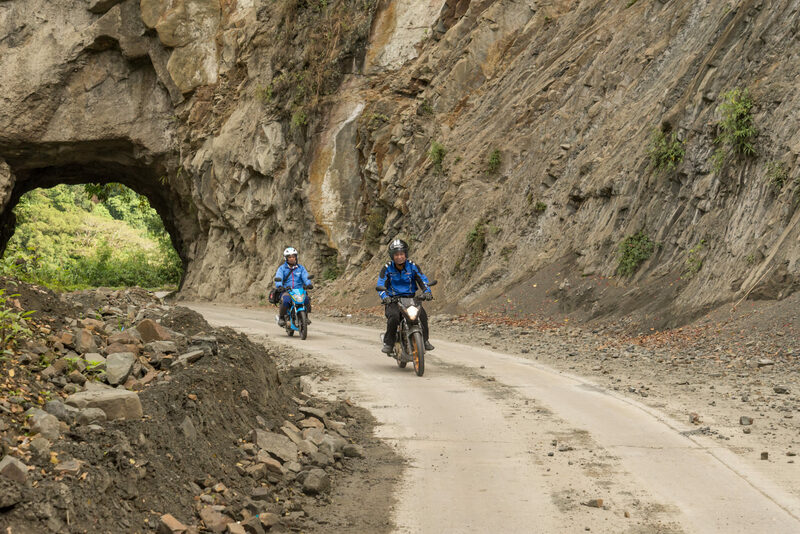 Three days is simply not enough to explore the true beauty of Kalinga. 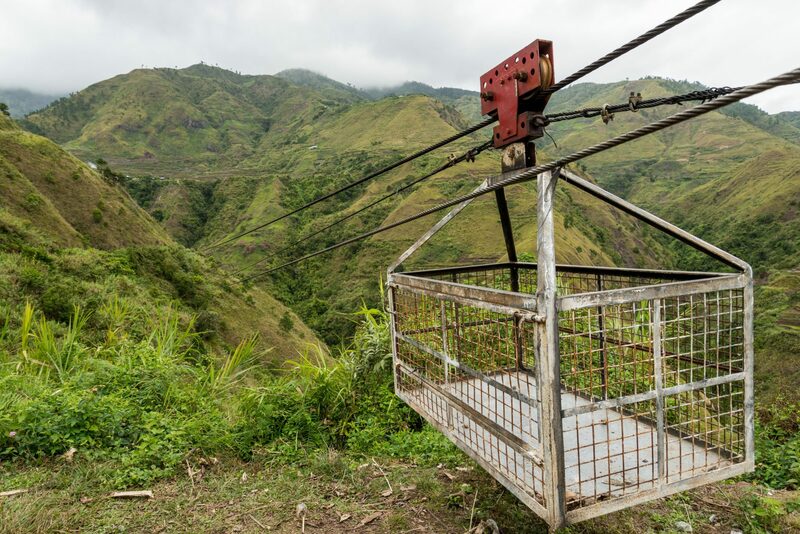 Other points of interest in the province you might like to visit are the Aguinaldo Hill, Mini Museum, Sungang Viewpoint, Palan-ah Falls and Hot Springs, Mt. Mating-oy Dinayao or the sleeping beauty, Tinglayan rice terraces, Lubo and Mangali rice terraces, Mount Binaratan, Balbalasang National Park, Ugid Maling subterranean river, Buaya Caves, Aciga Tree, Bonnong lakes and Asibanglan lakes, Padcharao lake, Pasil natural dam, Kabunian Bridge and Springs, Guinaang village, Malibong weavers village, Bananao and Manangol viewpoint and Elephant Hill. 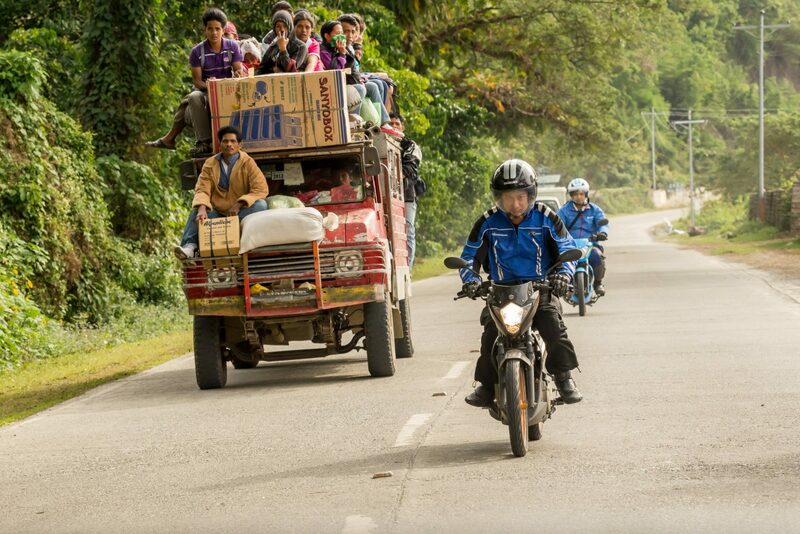 So who says you can’t travel on an underbone? Well, not only is it possible, it’s very cheap as well. 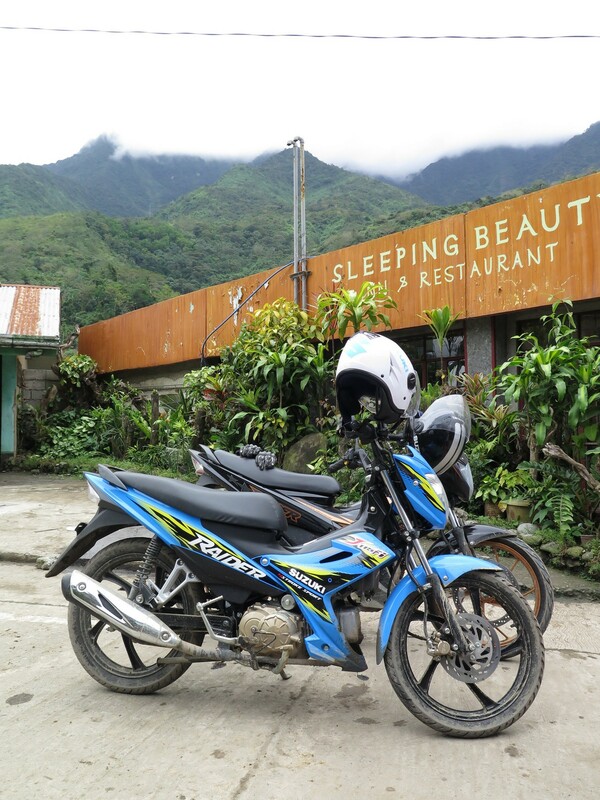 Our round trip fuel expenses only cost us PhP1,000 each, leaving us with extra money for other travel expenses. Now that’s even cheaper than a round trip bus fare! So the next time you’re planning a road trip up north, make it off-center, make it Tabuk.